Fantasy about life in another world. A world where the people have blue human body with lion’s features and face. The birds and animals are like prehistoric animals, savage and strong like dinosaur. But more intelligent and can be controlled like horse. The plants also looked like pre-historic plants , huge and colorful, but also looked artificial with lighting ornaments. The Avatar people live like Africans in safari land jungles. The hair style is undoubtedly African, life style also African. They are hunter but they don’t kill animals unnecessarily, they live in harmony with nature. With face like lion, eyes like cat, and strong and yellow teeth are yellow. But they don’t looked savage, they looked like cartoon creatures from Lion King. They are more gentle than savage. More human than human. Their language raw but they can get in touch better. They can also get in touch with animals and plants. They are the green peace. On the other side of the world, human is the enemy, conqueror and predator. The fight between Avatar and human is the fight between two different worlds, the natural and the corrupted, the pure and the greedy, the primitive and the sophisticated. The battles were fantastic like a super video game. Started from colossal battle like Star Wars and ended into man to man fight. From highly robotic war toys into full body contact. Entertaining but predictable. 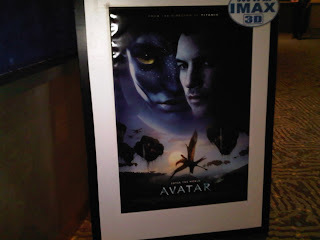 A few human dreamed to become Avatar. Thanks to the science fiction, it can transfer human to become Avatar. It made fantasy became reality and reality felt like fantasy. Although oxygen is not transferable. What an adventure it is to live with Avatar, fly with Avatar, fight with Avatar, and cry with the Avatar when the big tree collapsed. During an interview with an Avatar, it said that it wished to be a human, having the human intelligence, the technology , the smooth features. It was impressed with the acrobatic planes, the robot guns and rockets, 3D Computers and the long distance talks. The roads on earth, the buildings, the towers, sport cars they saw on movies. The Avatar are just amazed how human jump and slide on snow , doing acrobatic in the air. And they earn medals for doing that, gold, or silver or bronze medals. In Avatar there is no gold, nor silver nor bronze. They hope one day they would have those.